The Kathmandu Lo boot is an 8 in., dual-buckle riding boot made for all day comfort in the saddle. The leather/synthetic upper offers waterproof-breathable protection. Hard toe box and ankle caps provide additional protection. 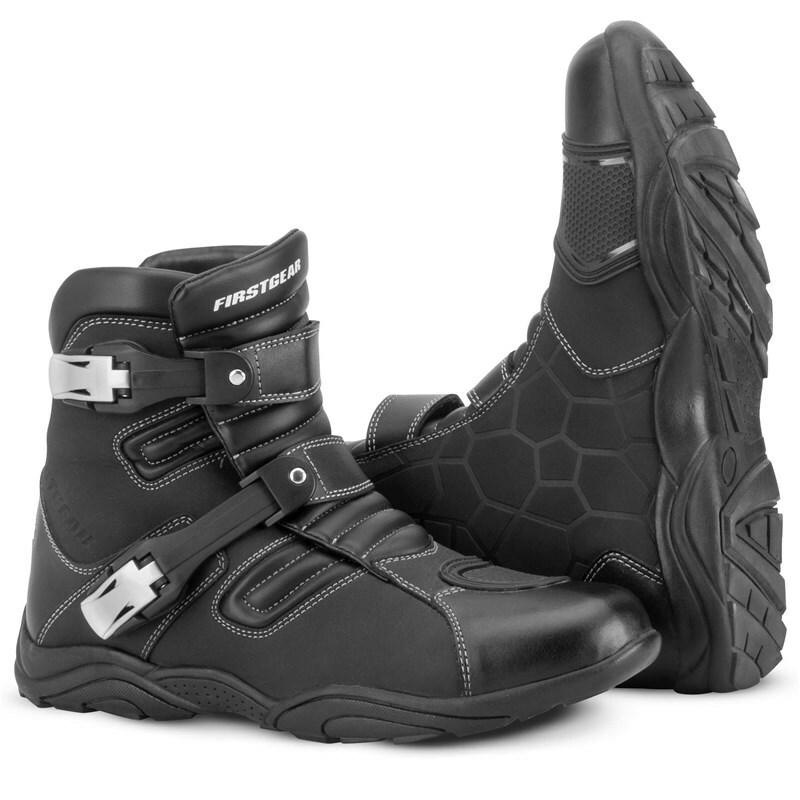 A shallow treaded rubber sole provides outstanding purchase on foot pegs and tarmac.